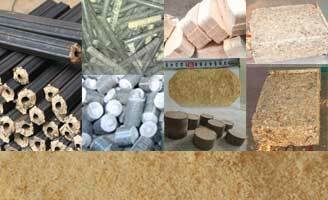 Biomass briquette is a kind of renewable briquette which grows fast in the fuel market today. There are many factors that will influence the biomass briquette making process which finally influence the quality of the biomass briquette, basically, they are divided into two types – the internal type and eternal type. Internal type mainly includes the raw material type, moisture, etc. External type mainly includes the heating temperature, pressure, the size of the raw material, etc. Heating temperature has a big influence on the briquette density and strength. The required briquetting pressure will be lower in high temperature for the same raw material with certain moisture. 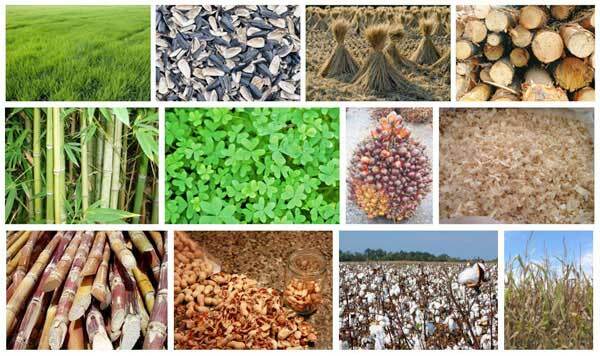 As we all know, biomass briquette is normally a binder free way as we use the internal binder – lignin. The lignin will become soft when around temperature 70 to 100 Celsius. The binding affection will become better while the temperature rises. When the temperature comes to 160 Celsius, lignin then melts and becomes a kind of gel, that makes the binding effect much strong. 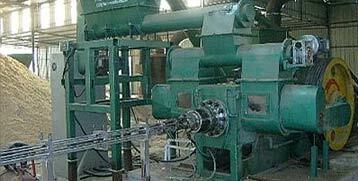 Pressure is the most important factor in biomass briquettes making. 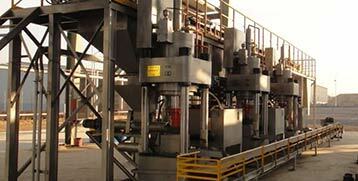 Generally, raise the pressure will increase the density of the biofuel briquette. The whole biofuel briquetting process can be divided into 3 steps – soft briquetting, transition briquetting, and stable briquetting. With the first 2 steps, as the pressure is low, the density will increase much quickly when the pressure raises, when it reaches the stable briquetting process, the density will increase slowly along with the pressure or even non-sense with the pressure. The pressure will highly affect the briquette quality when it’s small while it affects little when it’s big. In super high pressure (as much as 138Mpa), the pressure keeping time can be ignored. Generally, if the pressure keeping time is more than 40 seconds, the quality affection can be ignored, and when the briquette making time is more than 20 seconds, an extra 10 seconds on pressure keeping will increase the briquette density by 5%. Briquette pressure has much to do with the size and shapes. 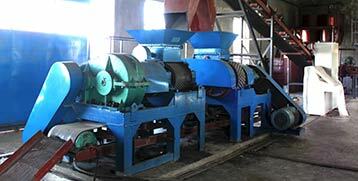 Different raw biomass should be briquette in different briquette ways and choose the best briquette machine for. The wood waste is with low plasticity when briquette at normal temperature, while biomass with high fiber rate is easy to briquette especially on high pressure. Raw biomass with high lignin – like wood type, straw, etc is good to briquette with heating system as the lignin make a better performance on the high temperature which highly boosts the plasticity. Moisture will affect the density relaxation and burning effect of the biomass briquette. Especially the density relaxation. 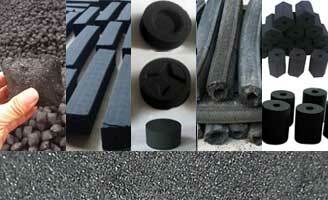 Raw material with suitable moisture will get an ideal briquette effect. A proper moisture will help to pass pressure on the particles and a well lubricating. Normally the briquette moisture should be around 15% for different biomass materials. But the biomasses we can get are normally with a moisture around 20-40%, and some even to 55%. So make the raw biomass well dried is the thing we need to do to make high quality biomass briquette. When briquette with high moisture, first, part of the briquette energy will cost on the extra and useless moisture. Second, the heating makes some of the extra moisture to be steam, which causes “steam pressure” on briquette making, the light steam pressure will make the briquette crackle, the hard steam pressure will even make a steam bomb, which will cause a danger to the briquette making process. Material with low moisture is not good for lignin plasticization and heating energy passing, which will cause briquette forming problem. The crushed sizes will affect the quality metrics of the biomass briquette – fall resistance, water resistance, density relaxation. When the raw material is briquette by a certain type of briquette machine, the size of the raw material should be definitely smaller than the mould briquette output hole size. 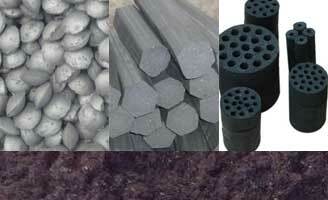 Raw material with an uneven size, especially much different in sizes and shapes, will make the briquette with crackle. This will affect the strength of the biomass briquette. If the raw material is all in big sizes, it will reduce the efficiency of the briquette machine and increase power consumption. Biomass briquette making now becomes more popular as the development of renewable energy, step into this place, the biomass waste recycling plant not only helps you to make a good profit but also a protection for the world’s environment today and the future.